If a document contains bookmarks, you can use the Document Map panel for navigation purposes. 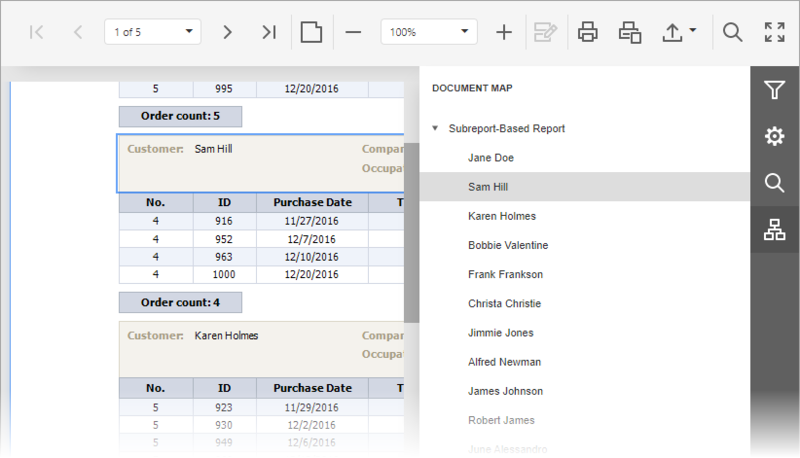 To switch to this panel, click the Document Map button on the right side of the Document Viewer. To go to a specific bookmark, click it in the Document Map. As a result, an appropriate document page will be shown, and a document element associated with the bookmark will be highlighted.